Summer months are ending, but the athletic population is still faced with heat-related illnesses. Although some people may consider this topic redundant and see it as a broken record, we have to always remind ourselves that outdoor participation exposes us to the threat caused by heat-related incident. Apart from a constant awareness of the negative results that can be due to poor hydration in the heat, we have to acknowledge that global temperatures are constantly on the rise. The National Weather Service reports that from 2014 – 2016, the world experienced the hottest increase in average temperature over a two-year span since the late 19th century. Moreover, NASA asserts that the ten warmest years for global surface temperature have all come since the beginning of the 20th century. Nevertheless, this article is not to show you the global warming statistics and urge you to go for your nearest bunker; its main aim is to create further awareness to already prevalent issues in exercise and sports. We should take further precaution to make sure our players are safe and know proper hydration methods needed every day to promote safe and optimal athletic performance. ATs (Athletic Trainers) must continue to educate parents, coaches, and athletes, as well as enforce hydration policy adherence. Ideally, it’s not just the athletic population that’s affected by rising temperatures and heat illnesses. As of 2015, OSHA (Occupational Safety Health Administration) issued a statement asserting, Under OSHA law that employers are liable for providing working conditions free of noticeable safety hazards. One of these safety hazards is to protect employees from extreme heat. An employer whose workers are constantly exposed to high temperatures should create an established and complete heat prevention program. This hot topic of heat-related injuries has come in the wake of a 2015 study conducted by the U.S. Department of Labor that made a conclusion that 2,630 workers, in 2014 alone, suffered from heat illness and 18 succumbed after suffering from heat stroke and heat-related illness on the job. 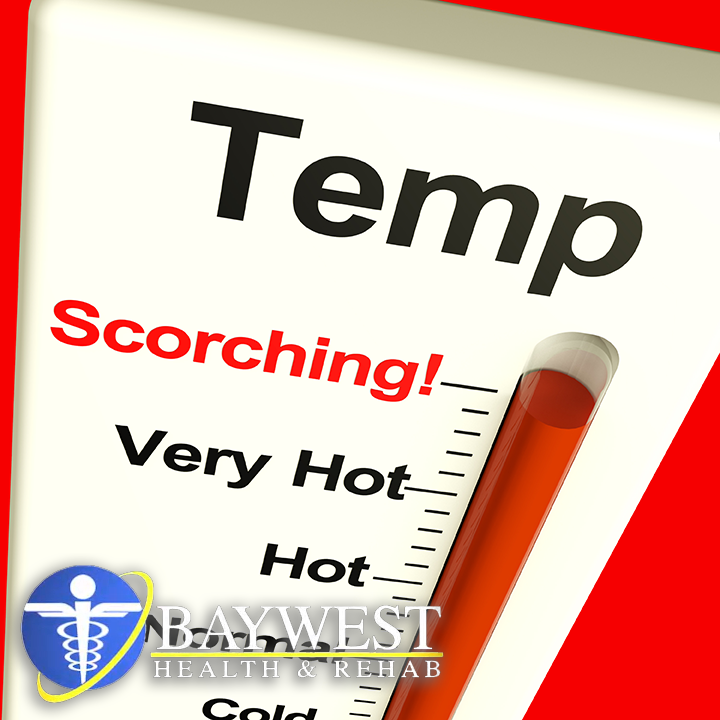 In other words, if you are staying outdoors in the heat for extended period, you need an established prevention and treatment plan. NATA holds that the replacement of fluid should be somewhat equal to urine and sweat losses, so athletes don’t lose more than 2-percent body weight on a daily basis. On average, this is equal to taking around 200 – 300ml fluid after every 10 – 20 minutes during exercise. Other than monitoring fluid replacement and fluid loss, ATs and coaches are advised to check the temperature and humidity before the beginning of a game or practice. NATA guidelines recommend a temperature of 90F at 20-percent humidity because it could be ideal for carrying out football practice with full protective gear. However, they are against a temperature of 90F at 80-percent humidity, as this temperature could create a harmful environment for which activity and equipment use should be limited. These guidelines are here to stay and will only be altered slightly after every few years. However, we have to do everything possible to educate the population, especially the athletic population and any group that works or exercises outdoors. The theme of awareness should always be to educate people to staying safe and hydrated whether the earth’s temperature continues to rise or average temperatures in particular areas continue to heat up. We all know that a good preventive plan is the best treatment and the best preventive plan often needs a conscientiousness of your environment.